Carlee McDot: Who Wore It Better? I posted a #TBT (Throw Back Thursday) picture on my Instagram this morning and my mom commented that it was like an EXACT match for my current profile picture. Well, then I just HAD to put them side-by-side. Looks like I still have the same smile, gap between my front teeth, and even a brightly striped shirt... I guess not much has changed in 25 years. 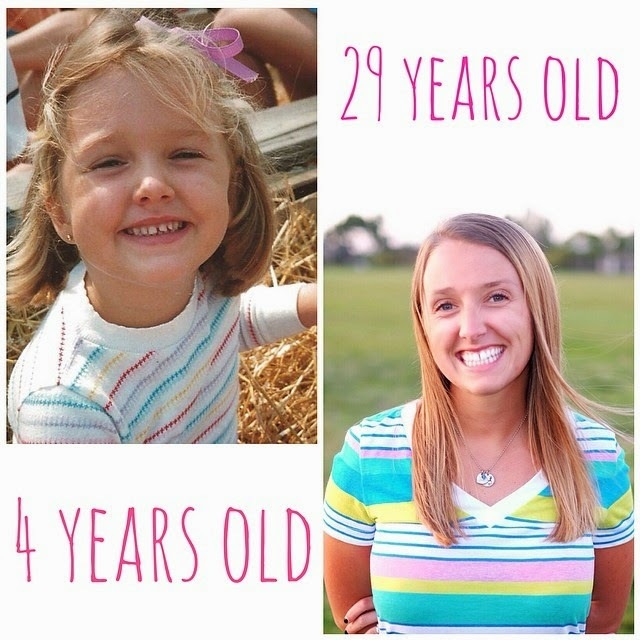 Who wore it better - 4 year old Carlee or 29 year old Carlee?